Most terrorist attacks in America have been foiled, sometimes due to the work of federal agents scrutinizing the Muslim community. Apparently, the Council on American-Islamic Relations isn't too pleased with this. They recently posted a sign calling for Muslims to shun FBI agents attempting to thwart terrorists. After Much criticism, CAIR removed the sign. As usual, CAIR blames "Islamophobia." 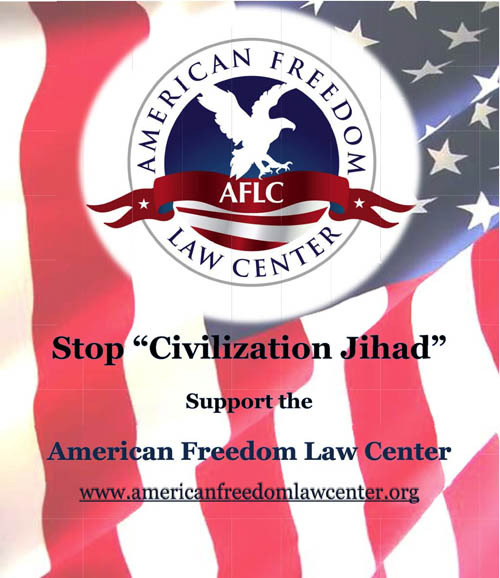 The Council on American-Islamic Relations said it will remove a poster from the group's website promoting an upcoming conference that encourages people not to talk to the Federal Bureau of Investigation. If you have nothing to hide then why put up a poster? 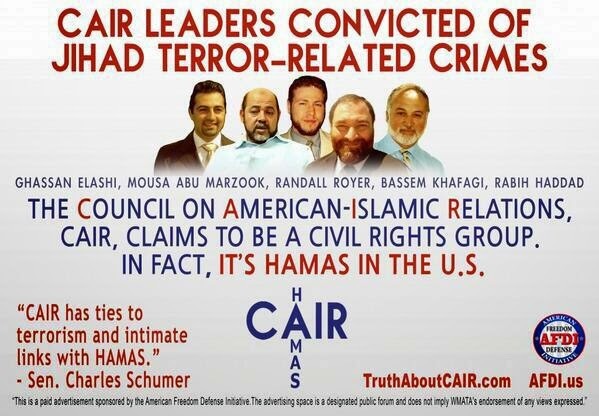 I think CAIR is the one with a few phobias. They are scared of getting caught promoting terrorism. 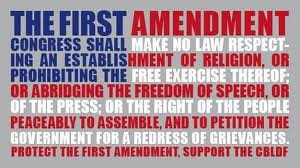 Muslims why do you fear the FBI if you have nothing to hide or have done nothing wrong? If Islam is not a threat to national security, then Muslims need fear nothing. But if it is . 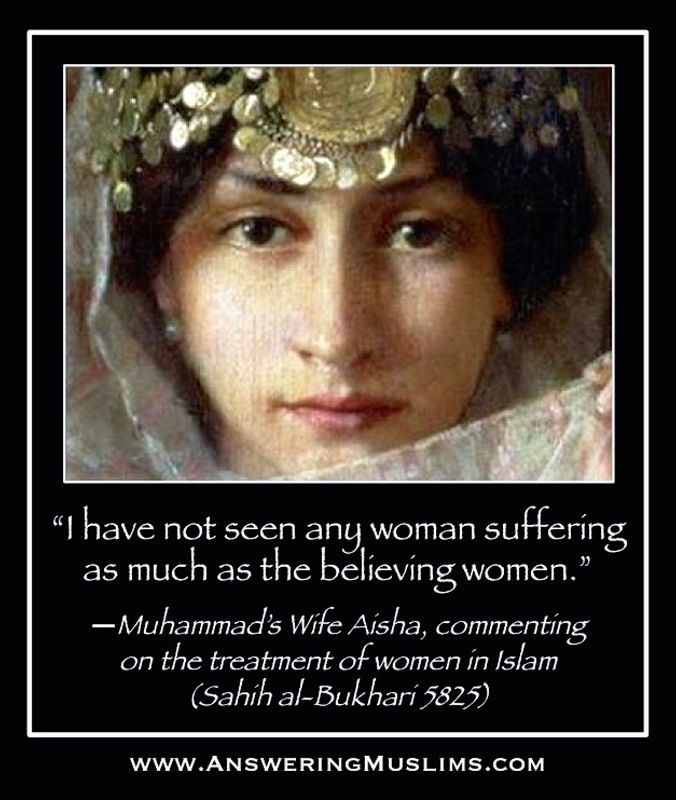 . . there are millions of ways to undermine Islam and destroy its influence in our society. Millions. Americans are very good at exclusion. If you look at our history, we have done well in the past. I don't think that the temporary fascination with exoticism and multiculturalism will really change anything. Looking at it from another angle. If you were from the Rep. of Ireland and lived in or moved around mainland Britain during the IRA bombing campaigns. Or if you were from the Basque country when the separatists were actively using violence - ETA or Euskadi Ta Askatasuna - to further their cause, how would you feel if something similar happened to you? Now, in these 2 examples, as in the case of Islam violence is a common factor. So, putting yourself in their shoes, how do you now view it? Yes, Muslims have brought the problems upon themselves. To co-operate is un-Islamic. To not co-operate will further convince non-Muslims that Muslims support violence. An interesting conundrum, and one not easily solvable. If think CAIR have made a clear statement by taking this stance, but again, if you were Irish or Basque??? 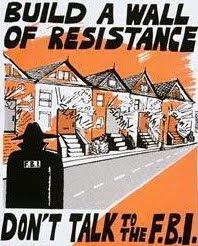 "Build a Wall of Resistance - Don't Talk to the FBI"
OMG. That just screams, "We have something to hide!!" CAIR, your days are numbered. It's only a matter of time before you disappear forever. I can hardly wait till that day comes. "Don't talk to the FBI!" "Build a Wall of Resistance!" I fail to see how the problem would be possible "mis"-interpretation. Guys,on January 28th from 8-9:30pm Eastern Time in ABNsat there will be a debate between Robert Spencer and Mustafa Zayed(author of "The Lies about Muhammad",400 pages,written against Spencer's book "The Truth about Muhammad").It will be on the nature of Islam.It sounds fascinating.